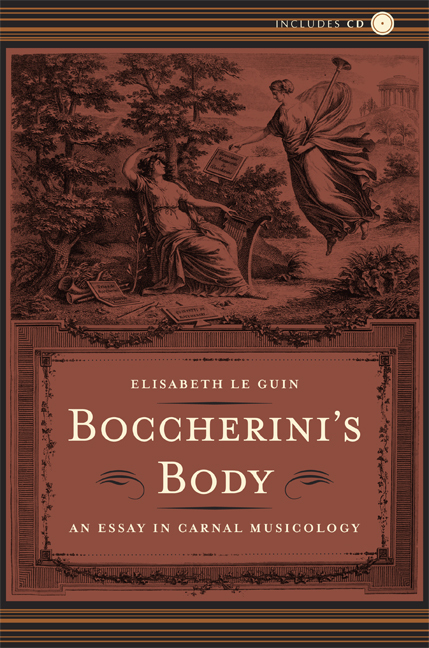 In this elegant study of the works of the undeservedly neglected composer Luigi Boccherini, Elisabeth Le Guin uses knowledge gleaned from her own playing of the cello as the keystone of her original approach to the relationship between music and embodiment. 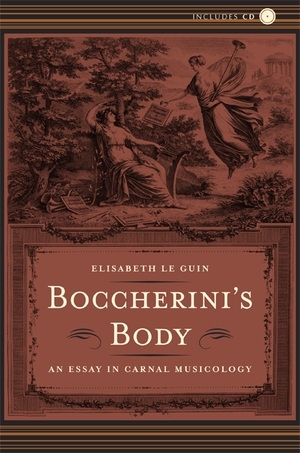 In analyzing the striking qualities of Boccherini's music—its virtuosity, repetitiveness, obsessively nuanced dynamics, delicate sonorities, and rich palette of melancholy affects—Le Guin develops a historicized critical method based on the embodied experience of the performer. In the process, she redefines the temperament of the musical Enlightenment as one characterized by urgent, volatile inquiries into the nature of the self. A CD of sound examples, performed by the author and her string quartet, is included with the book. Elisabeth Le Guin is Associate Professor of Musicology at the University of California, Los Angeles, and an internationally respected Baroque cellist.